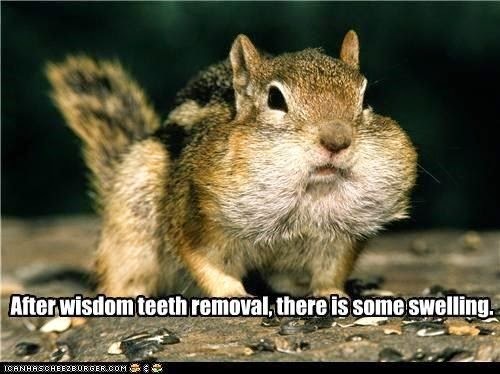 I had the joy of the wisdom tooth surgery last spring – no fun and I wish you a quick recovery with no pain! Take it easy and embrace the way of the puffy cheeks lol! Good find on the flatware!! Good luck with your wisdom teeth. I've had mine out and it got much fewer headaches after. Congrats on the flatware score! I've had one wisdom tooth removed. It grew in sideways and was basically making the inside of my cheek look like chewed up gum. Another came in without any problem. One is almost all the way through- it likes to flare up and give me a hard time every once in a while, and the last one hasn't shown up yet. I have to confess that the $$$$ scares me more than the procedure. Next Next post: Friday Finds ~ Summer Is Here!